one less car, originally uploaded by young@art. 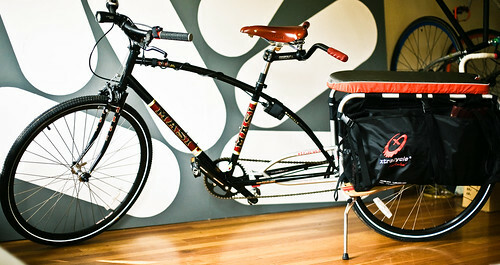 I'm going to modify my bike for commuting for Frankie and I. Can haul 150 lbs with this kit (Xtracycle.com). That reminds me of the scene in 2001: A Space Odyssey where Dave shuts down HAL.